IT WAS JUST ONE OF THOSE MORNINGS. HERE IT WAS FEBRUARY 2ND ALREADY AND GROUNDHOG WAS STILL REALLY-REALLY-REALLY SLEEPY AND HE KNEW HE HAD TO GET UP; AFTER ALL, THE MAYOR WAS COMING TO SEE HIM TODAY. HE ROLLED OVER IN HIS DEN, STRETCHED UNTIL HIS TOES HURT AND FINALLY GOT UP TO COMB HIS HAIR, IN RESPECT FOR THE MAYOR OF COURSE BECAUSE GROUNDHOG SELDOM COMBED HIS HAIR, AND WHAT DID HE SEE????? HE SAW REALLY BAD HAIR! IT WAS STICKING UP IN LITTLE POINTED PEAKS AND SPIKES ALL OVER HIS BODY AND HE JUST COULDN’T GO OUT LOOKING LIKE THIS! SO AFTER HE HAD A QUICK CUP OF NUTS AND ROOTS COFFEE AND SOME WINTER BERRY JAM & BREAD, HE PUT ON HIS SCARF & MITTENS, PULLED A BERET WAY DOWN OVER HIS HEAD AND WENT TO HIS HAIR DRESSER, WHO JUST HAPPENED TO BE A HARE. GROUNDHOG’S HAIR DRESSER WAS NAMED HARRY…YAH I KNOW KIND OF FUNNY BUT REALLY TRULY, HIS HAIR/HARE DRESSER’S NAME WAS HARRY. HARRY RESIDED IN ANOTHER DEN JUST DOWN THE WAY AND HE RARELY SLEPT. 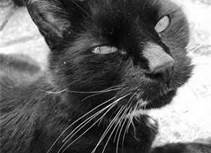 HE NEVER HIBERNATED, IN FACT HE SELDOM EVEN CLOSED HIS EYES, HIS EYES WERE VERY FUNNY BECAUSE THEY WERE ON THE SIDE OF HIS HEAD WHICH ALLOWED HIM TO SEE FORWARDS AND BACKWARDS AND THIS CAUSED HIM TO BE A BIT LITTLE DIFFERENT. THAT FACT, AND BECAUSE HE SELDOM SLEPT AND WAS ALWAYS SOMEWHAT SLEEP DEPRIVED, CAUSED HIM TO ALSO OFTEN BE “A LITTLE BIT CRAZY”. NOW THE FACT THAT HE WAS A LITTLE BIT CRAZY HAD GIVEN RISE TO HIS NICKNAME, THE MAD HATTER’S MARCH HARE, MARCH MADNESS AND ALL THAT, YOU KNOW? HOWEVER, HARRY JUST LIKED TO BE CALLED HARRY. 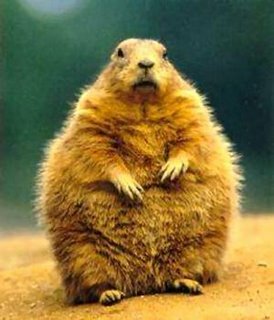 WHICH HARRY, ONCE HE HAD STOPPED LAUGHING AT GROUNDHOG, AGREED TO DO IMMEDIATELY,’ CUZ EVEN SEMI-MAD HARRY COULD SEE GROUNDHOG JUST COULDN’T GO OUT FOR THE DAY’S EVENTS LOOKING LIKE A CROSS BETWEEN A DRUNKEN SQUIRREL and A PUNK POSSUM. FOR THE PRICE OF THREE ACORNS, HARRY BEGAN THE PROCESS OF SORTING OUT GROUNDHOG. FIRST HARRY GAVE GROUNDHOG A SHAMPOO. NOW THAT IS NOT TO BE CONFUSED WITH SHAM POO WHICH IS FAKE DOG DOO DOO USED BY SCHMUCKS TO MAKE BAD PRACTICAL JOKES, THIS WAS ORGANIC SHAMPOO MADE FROM DANDILION FLOWER PETALS AND POND SCUM. HARRY ACTUALLY HAD GROUNDHOG GET IN HIS SHOWER AND USE THIS ALL OVER AS HE WAS SPIKY ALL OVER FROM HIS LONG WINTER’S NAP AND AFTER THE SHAMPOO GROUNDHOG LOOKED A LITTLE BETTER. THEN HARRY COMBED OUT GROUNDHOG’S HEAD. ACTUALLY HE COMBED OUT GROUNDHOG ALL OVER BECAUSE…WELL SEE ABOVE, AFTER THE COMBING OUT GROUNDHOG LOOKED A LOT BETTER. THEN HARRY, POURED LAVENDAR WATER ALL OVER GROUNDHOG AND WHILE HARRY LOVED LAVENDAR WATER GROUNDHOG FOUND IT A LITTLE SMELLY AND WISHED HARRY HADN’T DONE THAT BUT WHAT’S DONE IS DONE AND GROUNDHOG WAS ALMOST LATE ANYWAY, SO HE RUSHED BACK TO HIS DEN TO WAIT FOR THE MAYOR. THE MAYOR CAME TO CALL FOR GROUNDHOG. HE WAS WEARING HIS FORMAL TOP HAT AND LONG FORMAL COAT AND HE TOOK HIS HAT OFF AND BOWED TO GROUNDHOG. GROUNDHOG DIDN’T GET A LOT OF RESPECT MOST OF THE YEAR BUT ON FEBRUARY 2ND, HE WAS…THE MAN! oR MAYBE THAT SHOULD BE…THE GROUNDHOG! GROUNDHOG BOWED BACK AND ALLOWED THE MAYOR TO PICK HIM UP AND PUT HIM ON HIS SHOULDER AND THEN AWAY THEY WENT TO THE BIG FESTIVAL IN TOWN WHERE GROUNDHOG WOULD SEE IF HE COULD SEE HIS SHADOW AND THEN EVERYONE IN TOWN WOULD KNOW IF IT WAS GOING TO BE WINTER FOR ANOTHER LONG LONG TIME OR JUST A LITTLE SHORT TIME MORE. THE FESTIVAL WAS BIG, NOT ONLY WAS EVERYONE IN TOWN THERE BUT PEOPLE FROM ALL OVER THE WORLD WERE THERE. TELEVISION CREWS WERE THERE, REPORTERS FROM THE WORLD’S BIGGEST PAPERS WERE THERE. REPORTERS FROM THE WORLD’S SMALLEST PAPERS WERE THERE, PEOPLE WERE DRESSED UP IN SCARVES, HATS, MITTENS, AND WEARING T-SHIRTS WITH GROUNDHOG’S PICTURE ON IT, OUTSIDE OF THEIR WINTER CLOTHES, OF COURSE. GROUNDHOG FELT VERY IMPORTANT AND VERY RESPECTED AND HE TOOK HIS JOB VERY SERIOUSLY SO HE KEPT A FORMAL DEMEANOR AND ACTED REGALLY, LIKE A KING. BUT HE STILL SMELLED OF LAVENDAR WATER AND THAT HAD CAUSED THE MAYOR TO SNEEZE SOME ON THE WAY OVER, WHICH CUT DOWN ON GROUNDHOG’S KINGISH ACT JUST A LITTLE. I MEAN IT’S GOOD TO BE KING BUT HOW MANY TIMES CAN YOU SAY GESUNDHEIT WITH DIGNITY? THE MAYOR SAID A FEW WORDS TO THE GYNORMOUS CROWD AND THEN THE TOWN COUNCIL ALL CROWDED AROUND THE MAYOR AND GROUNDHOG FOR A GROUP PICTURE. ONE SILLY COUNCILMAN SUGGESTED THAT THEY ALL HAVE A GROUP HUG BUT GROUNDHOG WASN’T GOING FOR THAT BECAUSE HE WAS IN HIS REGAL MODE AND KING’S DON’T HUG PEASANTS. NOW HAD ANY OF THE COUNCIL PEOPLE BEEN PHEASANTS THEN MAYBE GROUNDHOG WOULD HAVE BEEN A LITTLE MORE ACCEPTING OF THE GROUP HUG BECAUSE GOUNDHOG HAD A CRUSH ON PENELOPE PHEASANT BUT THAT IS A STORY FOR ANOTHER DAY. THE MAYOR PUT GROUNDHOG UP ON A STUMP AND STEPPED BACK AND GROUNDHOG DID HIS THING. HE LOOKED THIS WAY AND THAT WAY. HE LOOKED UP AND DOWN. HE LOOKED FORWARDS AND TURNED AROUND AND LOOKED BACKWARDS, HE WASN’T LIKE HARRY WHO COULD DO THAT AT THE SAME TIME, AND THEN HE LOOKED ALL OVER AGAIN. NOPE, GOUNDHOG JUST COULDN’T SEE HIS SHADOW, SO HE PRONOUNCED IN A GROUNDHOG BUT REGALLY WAY; “THIS WINTER IS ALMOST OVER”, THEN EVERYONE CHEERED AND THREW THEIR HATS IN THE AIR. GROUNDHOG WAS THE TOAST OF THE TOWN, THE BEAU OF THE BALL, THE CAT’S PJs AND ALL THAT JAZZ. THERE WAS JUST ONE LITTLE PROBLEM, ALTHOUGH IT DIDN’T BECOME APPARENT UNTIL WEEKS AND WEEKS LATER, GROUNDHOG MUST HAVE GOTTEN SHAMPOO OR LAVENDER WATER IN HIS EYES, WHICH IS WHY HE COULDN’T SEE HIS SHADOW. YUP HE WAS REALLY HAVING A BAD HAIR/HARE DAY. BECAUSE EVEN THOUGH GROUNDHOG HAD SAID WINTER WAS ALMOST OVER, WINTER LASTED UNTIL THE MIDDLE OF MAY THAT YEAR. IT LASTED THROUGH MOST OF SPRING, IT ALMOST LASTED UNTIL SUMMER. IT REALLY WORE OUT ITS WELCOME AND SPRING WAS MAD, NOT THE KIND OF MAD THAT HARRY WAS BUT THE KIND OF MAD THAT HAPPENS WHEN SOMEONE STEALS YOUR THUNDER OR IN SPRING’S CASE YOUR WARM & BALMY WEATHER & BIG FLUFFY CLOUDS. GROUNDHOG WAS REALLY WRONG THAT YEAR AND NO ONE LET HIM FORGET IT UNTIL WELL INTO OCTOBER, WHEN IT WAS GETTING ON FOR WINTER AGAIN. SO GROUNDHOG SHOULD HAVE SAVED HIS ACORNS AND JUST GONE TO THE FESTIVAL IN HIS SPIKY “DO”……………………………..
CUZ GROUNDHOG REALLY HAD A BAD HAIR DAY THAT YEAR! Monty (Big Balls) Python looks so awful and so mean but although he was a wild cat, he’s the sweetest that I’ve seen. He’s a lover not a fighter and he never seemed to care that I took his huevos from him cuz he still is debonair.